Homer Stewart was a prominent aerospace engineer involved with the American space program. Stewart earned a B.S. in aeronautic engineering from the University of Minnesota in 1936, joined the faculty of the California Institute of Technology (Caltech) in 1938, and earned his doctorate from Caltech two years later. In 1939 he took part in pioneering rocket research with other Caltech engineers and scientists, including Frank Malina, in the foothills of Pasadena. Out of their efforts, JPL (Jet Propulsion Laboratory) arose, and Stewart maintained his interest in rocketry at that institution. He chaired the committee (see Stewart Committee) that made recommendations about the early direction of the United States space program and was heavily involved in developing the first American satellite, Explorer 1, in 1958. 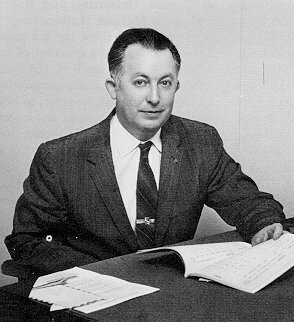 In that year, on leave from Caltech, he became director of NASA's program planning and evaluation office, returning to Caltech in 1960 to a variety of positions, including chief of the advanced studies office at JPL (1963–67) and professor of aeronautics at Caltech itself.